When I report a story, I make best efforts to provide all players the opportunity to comment. That's what bugged me about Fat Wars: Diet Docs Have Salim Yusuf in the Cross Hairs, a March 2, 2017 MedPage Today article by reporter/editor Crystal Phend. A public attack on diet dogma from fats to vegetable intake got leading cardiologist Salim Yusuf, MD, DPhil, into scalding water with nutrition experts. The piece consisted of these five credentialed professionals going on the warpath about a recent lecture by Dr. Yusuf: Joel Kahn MD, David Katz MD MPH, Marion Nestle PhD MPH, Yoni Freedhof MD, and Kim Williams MD. Missing was any response from Dr. Yusuf, who has been called the "leading North American clinical trialist" in the field of prevention and treatment of cardiovascular disease, and the article provided no indication that Ms. Phend had attempted to interview him. If I'm reporting about someone prominent, I try to include their quotes not only for fairness, but because -- duh -- having comments from big dogs improves the news value of my story. This was a follow-up to our main story on Yusuf’s talk (http://www.medpagetoday.com/cardiology/cardiobrief/63427 ), focusing on a different aspect -- the response of various diet proponents to Yusuf’s comments. I thus did not interview Yusuf for the story. 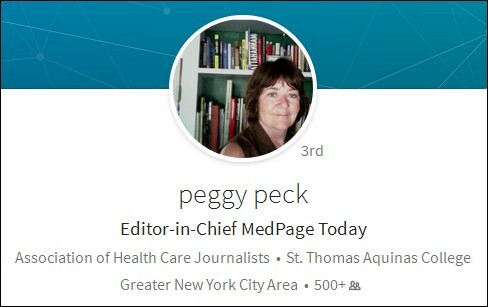 I then asked MedPage Editor-In-Chief Peggy Peck if she thought Dr. Yusuf should have been given the opportunity to respond to his critics. 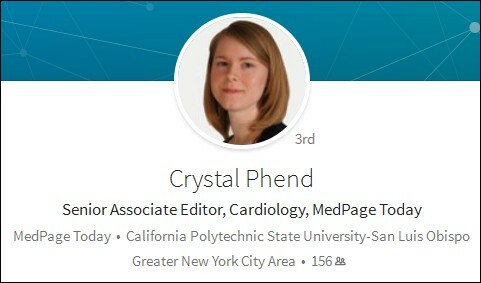 The article written by Crystal Phend was a follow-up article to one written by Larry Husten for MedPage Today and the blog, CardioBrief. ...Larry Husten alerted us to the presentation by Salim Yusuf. Given Yusuf’s standing in the field, I agreed that it could be a good piece for us (and for Larry’s blog). Based on that exchange, Larry did contact Salim and others and he wrote his piece. After we published that piece, we were contacted by a number of sources* who disagreed with Salim. We reviewed those comments and decided to put together a folo piece, which is exactly what Crystal did. We sent links to her story and Larry’s story to all who were quoted. ...Crystal did a response piece and that piece does meet the requirements for response pieces and, in fact, sometimes these pieces can go back and forth in a series of articles. If you were the subject of an article that attacked your work, IMO the reporter would have an obligation to provide you with the opportunity to respond within the article. (You would have right to accept or decline that opportunity, of course, or the article might state that you failed to respond to multiple inquiries.) Ms. Phend's failure to attempt to provide that opportunity to Dr. Yusuf is what I'm reporting about. I didn't receive a reply so I can't share her reaction to that. Next I ran the situation past some journalism ethics experts. Here are their unedited responses in the order in which I received them. MedPage should have allowed Dr. Yusuf an opportunity to rebut his critics in the same article in which he is criticized. That seems only fair. 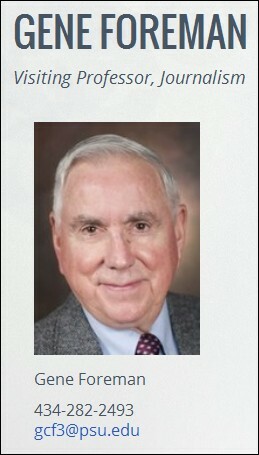 What does MedPage have to lose by checking with him to see if he answers the specific criticisms? If he merely repeats the statements that were quoted in Husten's piece, MedPage could summarize them in a paragraph or two, demonstrating fairness but without rehashing the original piece. But if he offers replies to specific criticisms that introduce new information or a new, reasonable argument, MedPage readers would benefit from seeing the controversy addressed by both sides in a single article. In general, this is a tough challenge. Yes, it's problematic to criticize someone and not offer them a chance to respond. But there are lots of occasions where that practice OK. In fact, there's a pretty big range of acceptable practices in the journalism world. And there is no set of rules that journalists are expected to follow or risk losing their credentials. Instead, each publication is in change of creating their own standards. There are other relevant factors here: How much traction was the video and the original talk getting? Among what audience? How big of a platform does the object of the critique have? What is the journalistic purpose of the critique? Should the original speaker be considered a public figure? Is this really part of an ongoing public dialogue? If the talk was public and the video of the talk was openly available, I'm not deeply concerned that the original speaker was contacted, as long as his statements were not distorted and as long as the critics' statements were also not distorted. So my short answer is: It's complicated. It's a mistake to assume that everyone is going to read every individual piece in continuing coverage of a subject. That's why it's important to include all relevant points of view in every story. Not every mention of every facet needs to be extensive, but a fair and responsible writer should at least mention differing opinions. In every story, every time; not in separate stories. * I'm interested in how stories get reported, so I twice-asked Ms. Peck if she'd tell me the names of the names of the sources who triggered the story if that information was on the record. She twice-ignored my question. From the "oops" department, cardiologist Salim Yusuf, MD, DPhil, apologized for maligning the Seven Countries diet study in the controversial diet talk he gave at the Zurich Heart House, which in turn explained it should never have publicly released the video. However, neither walked back the substance of the talk at the Zurich Heart House's Cardiology Update 2017 symposium. Yusuf's discussion generated backlash from the nutrition community, with many finding fault with his conclusions on dietary fat, carbohydrates, meat, and the general state of diet science. ...Plant-based diet proponent Joel Kahn, MD, who...had labeled some of the comments regarding the Seven Countries study "slander" and called for an apology, said the letter was a step in the right direction. Still, Kahn wasn't fully satisfied. 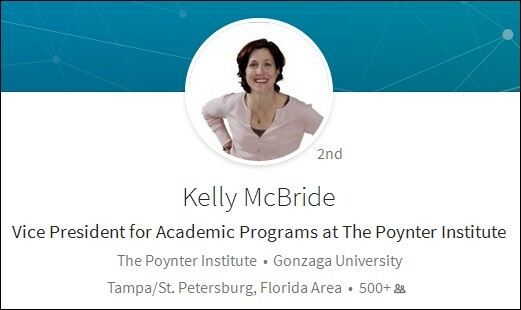 "It is insanity that the Zurich Heart House [ZHH] still uses a link to explain the mess via Zoe Harcombe, PhD, who maintains in the link that Dr. Keys fudged data or other words similar," he said in an email to MedPage Today. 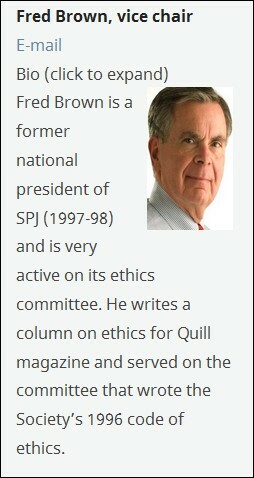 "How can an academic institution like ZHH use a blogger [Dr. Harcombe] and not someone like Henry Blackburn, MD, of the University of Minnesota, still an active researcher for the Seven Countries Study at age 92? ZHH's effort was anemic." Ms. Phend's article includes no indication that she attempted to contact a representative of Zurich Heart House, Dr. Yusuf, Dr. Harcombe, or Dr. Blackburn.